January seemed to contain far too many weeks, and winter hasn’t finished when the month did; the school runs and daily commutes are still cold, and there seems to be snow or frost somewhere in the UK every day. Like most people, you’re probably a little tired of the cold; it can make everyone tired, and, well, sometimes grumpy. Don’t worry, spring is just around the corner, honestly; there are flowers and bulbs popping up everywhere, and the days are getting a little bit longer (phew). However, it still feels brisk outside, and you’ll be craving warm comfort food. The food you’re eating will help to determine how you’re feeling and functioning, and, if you’re a busy parent; energy levels are crucial to getting through the day in one piece. Therefore, why not bring some summer warmth into your home through your cooking and mealtimes. If you’re tired of the bleak weather outside, you can add colour and vibrancy to your plate, and give everyone in the house something to smile about. 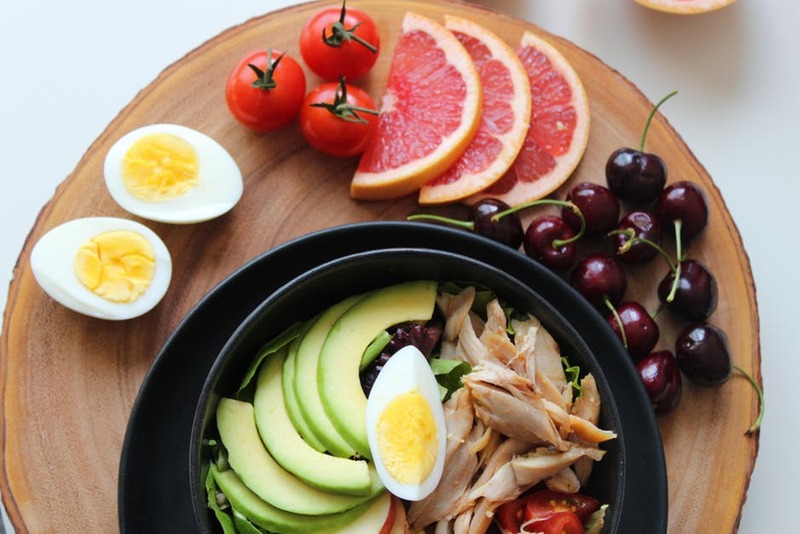 Aside from the visual appeal; food is a great way to ensure that you’re filling up on nutrients and energy that will last longer than a quick burst of something sugary. It’s not about cutting out your sweet treats completely (a little of what you fancy will do you good), but if you start being mindful about what you’re eating, you’ll begin feeling better from the inside out. Take a look at some meal plan ideas here so that you can get a good idea of how to plan ahead. By the time summer actually arrives; you’ll be full of beans (maybe literally), and ready to take on the challenges of family and work. The following are some ideas, information, and advice for busy parents who need a hit of sunshine to brighten up their chilly days. Bright and vibrant colour is often associated with the warmer summer months, but if you head into the grocery section of the supermarket; you’ll see it in abundance. The more natural, fresh, and colourful ingredients that you can add to your plate, the better; you’ll get the benefits of vitamins, fibre, and an array of other healthy properties that a bag of chips can’t offer you. It’s worth reading through articles like patient.info so that you can better understand the effects that a deficiency in fresh vegetables and vitamin C can cause suffering conditions like gout. Winter is often a time where unpleasant health complications can occur more often because people head towards their cravings or sugar and carbohydrates in the wrong places. Keep thinking of summer; fresh and colourful foods are the alternative you need. Nobody is going to get excited by the same meals each day, so it’s vital that you’re not creating a salad that nobody enjoys so that food becomes a chore. You can have plenty of fun with healthy food; take a look here for some recipe ideas that will be perfect for the whole family, before you write the next shopping list. Whether you go for a warm veggie-packed curry, a simple stir-fry, or some spicy tacos; you’ll be added interest and sunshine to mealtimes so that the whole house feels better. Bring summer back, and fill up on delicious food in the meantime!